This page is now "hidden" from links on this website, but sometimes there are old links out there on the internet or searches that will bring you to this page. Please see the pages on the left for up-to-date information or contact Terre with any questions. NIA IN CAMPBELL is no longer being held! Thank you for your support! Even though Nia in Campbell is not being held . . . . I am subbing classes for the City of San Jose in the next couple of weeks. If you would like to come to a Nia class and my regular schedule (M/T/W) does not fit with yours, check out my sub schedule. Maybe there is a temp class that fits with your schedule. Go to subbing schedule. 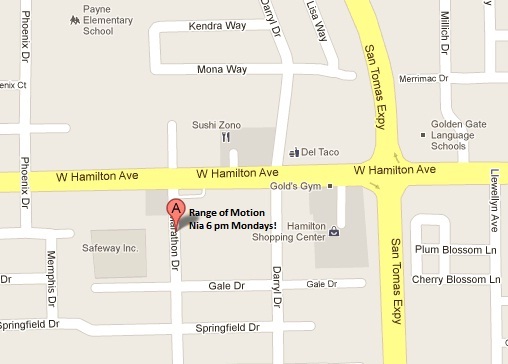 The dance studio is on Marathon Drive across the street from the Safeway that is on Hamilton. You can see the studio from the street. There is plenty of parking and space to dance!!! If you are a New Student to Terre's Nia Classes (in Willow Glen or Campbell) you may purchase a 3 class pass for $20.00. This pass must be used within two weeks. It is good for both the WILLOW GLEN CLASS AND THE CAMPBELL CLASS! The fees state here are good for Monday and Wednesday classes in Willow Glen and Campbell. Cash and checks are accepted. Checks to be made payable to Help You Well. The Monday and Wednesday classes in Willow Glen are in the MORNING, the Monday Nia Class in Campbell is in the EVENING. Class passes as stated here are good for both of these locations and they expire 45 days from purchase. 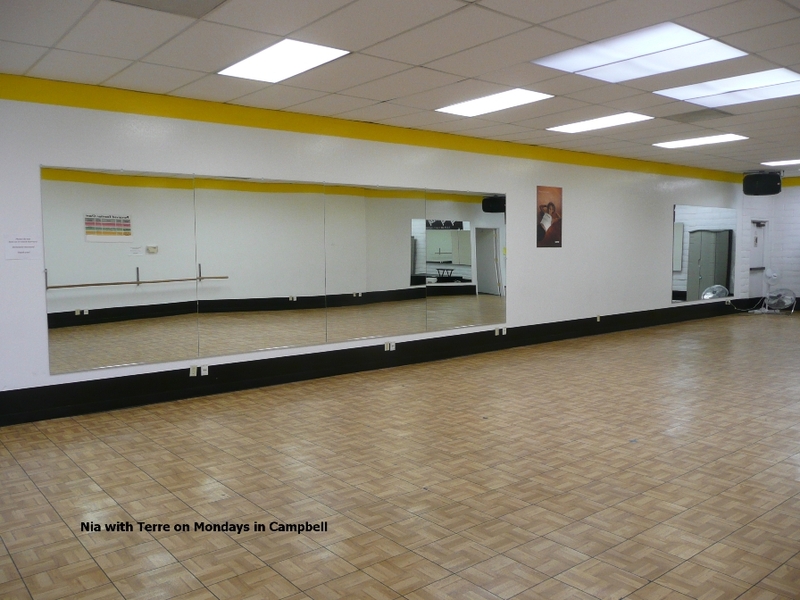 Approximately 2000 square feet of dance space. WAHOO!!!!! !